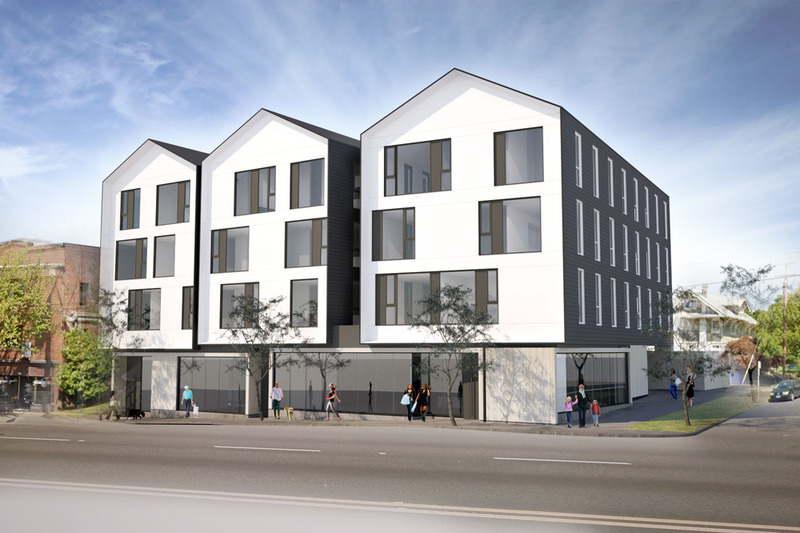 The Langano Apartments, a project by Works Partnership Architecture, are under construction at 1445 SE Hawthorne Blvd. A building permit was issued in August for a new four story, 30 unit apartment building with retail space on the ground floor. The project replaces Jarra’s Ethiopian Restaurant and the Langano Lounge, which closed in May. The restaurant’s owners, Petros Jarra and Ainalem Sultessa, retain ownership of the development. This entry was posted in Buckman, Langano Apartments, Works Progress Architecture. Bookmark the permalink.